Wedding Flowers - Are You In Style? 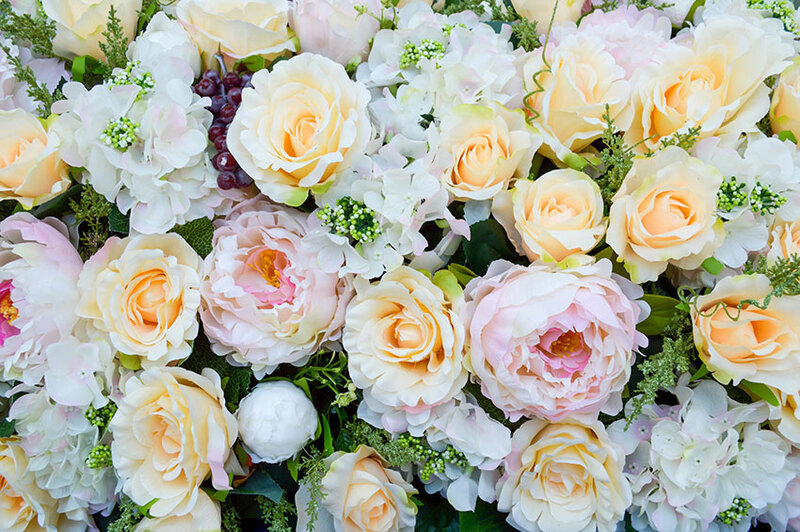 Wedding flowers play an important part in both the planning and execution of your wedding. One of the biggest decisions a bride will have to make involves the design of beautiful and elegant arrangements of flowers for the dress, corsages, boutonnieres, and any centerpieces desired for the wedding itself. As a result of the changing times, weddings are no longer following strict conventions, with individual and unique designs becoming more and more popular. This is great because it leaves you and your family free to perfect your wedding with the aid of professional florists, ultimately resulting in fresh and unique ideas to suit your personal style. One example of conventions being replaced is that many brides are no longer restricted to reserved looks like traditional white flowers for the bride and bridesmaids. Colours including plum and lavender are top choices, and can add a personal touch to your special day. A professional florist will be more than happy to offer advice for matching the colour and design of flowers for your wedding to create the custom feel you are looking for. Right from the start, the florist shop you contact will work with you to stay inside your budget, offering the best prices for the flowers you desire for your wedding. For your convenience, many florists have websites with links to examples of wedding arrangements and decorations that they've designed in the past and currently offer. The ease of being able to do so much of your wedding planning just from an online site will do you many favours in the end. You can also call to speak with a helpful representative about the best available options for your wedding flowers. Should you decide to have your wedding at home, a florist can visit you in order to get a good idea of what types of flowers would match those already growing in and around your house. Flowers are also important additions to rehearsal dinners and bridal showers, helping to decorate and to give a taste of things to come. Not only will you impress your guests with an amazing centerpiece, but you'll also create a lasting memory to treasure forever. Other assorted uses for wedding flowers include decorating candle holders, stair railings, windows and doorways. Even ponds can be brought to life with a floating design. The potential is limited only by your imagination, and a professional florist is able to accommodate any ideas you may present. When speaking with your florist, make sure to describe the wedding dress, mention the colour and pattern of bridesmaid dresses, and point out any arrangements that you are particularly fond of. It is also a good idea to highlight the designs that don't suit your tastes. Further useful information for the florist includes a description of the church and any rules that they might have regarding flowers, as well as those of the facility where you intend to hold the reception. Armed with this information, the florist will be best able to work out detailed plans and produce the results that are within your rights as the bride. Remember that flowers are one of the most important aspects of weddings, and one of the easiest for you to control! Just submit your plans to the florist of choice, detail what you're looking for, and they'll be able to proceed from there. Being able to show off amazing arrangements of flowers to your friends and family will not only help make your special day that much more memorable for yourself, but for everyone you've invited.